Unmanned Aerial Vehicles (UAVs) are in the process of changing many industries. Before UAV technology matured into a safe, reliable and low cost system aerial data was acquired by full size human piloted aircraft and was very expensive. 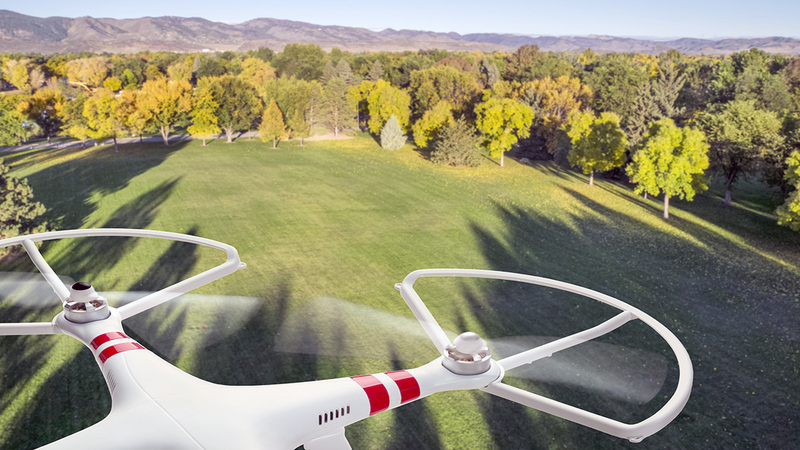 With today’s drones aerial data is cheaper, quicker and more creative than ever before. The mining industry stands to benefit greatly from new advances in aerial data acquisition. In many cases drones are already being used in mining and in the coming years will be almost ubiquitous. 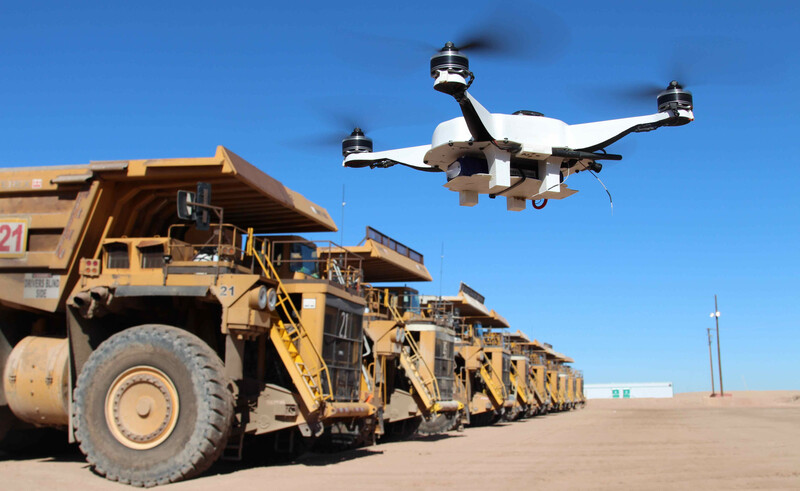 Drones offer huge advantages in every part of the mining life cycle including Exploration, Planning/Permitting, Mining Operations and Reclamation. Mineral properties are often in remote areas where existing maps are either non-existent or of poor resolution. In early stage exploration it is beneficial to have a quick overview of the prospect area. In the past this would have been acquired by a conventional aerial photography company. This would come with a large price tag. 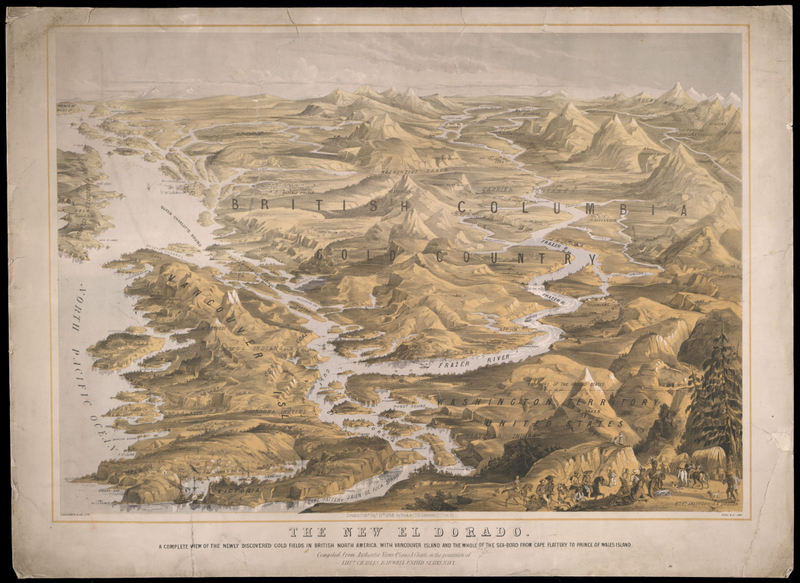 As a result aerial mapping surveys would not be conducted until later stages of exploration. Today a drone can do a better job for less money. Drones can map an area in high resolution in less than a day, usually a couple of hours. The cameras on today’s drones have benefited from advancements in small high resolution sensors. 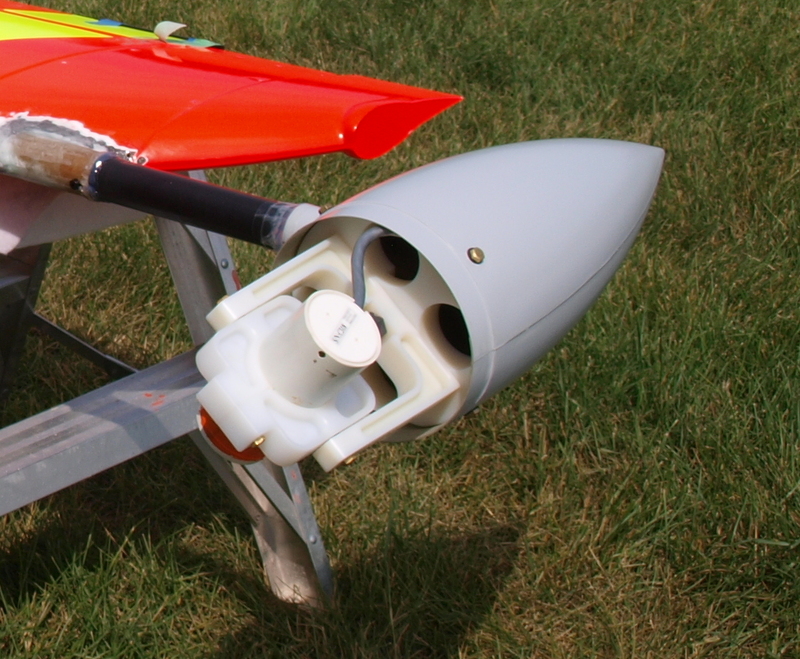 Miniaturization of other components such as GPS and computer boards has also contributed to the modern drone. Due to the unmanned nature of a drone it can fly close to the ground which allows unparalleled image resolution. Conventional aerial survey aircraft require camera’s with extremely high resolution (80mp and up) because they fly at elevations of 2000-5000 ft above the survey area. Drones can fly at 250 ft with a 16mp camera and get better data. Satellite imagery has come a long way as well but does not come close to the quality of drone data and the cost is still prohibitive. The best satellite data today is provided by the WorldView-3 satellite at 31cm/px. Drones can produce 4.0cm/px or better. You can forget about Google Earth, their resolution is no better than 65cm/px. Early stage exploration projects can now get a rapid aerial image mosaic produced by a drone for a couple thousand dollars. Where a conventional aircraft would produce an inferior product for about ten times the cost. This cost advantage allows imagery to be collected very early in the exploration process when it can be of the most benefit. In addition to aerial imagery the same drone data can be used to produce accurate topographical maps and GIS data in remote areas. 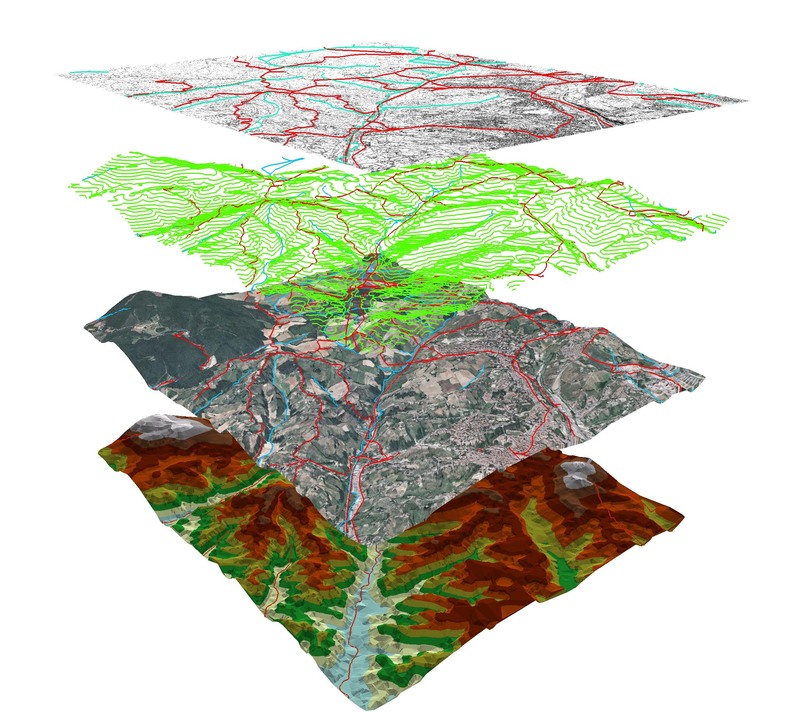 Topo mapping was previously produced by ground surveyors with an RTK/GPS rover. 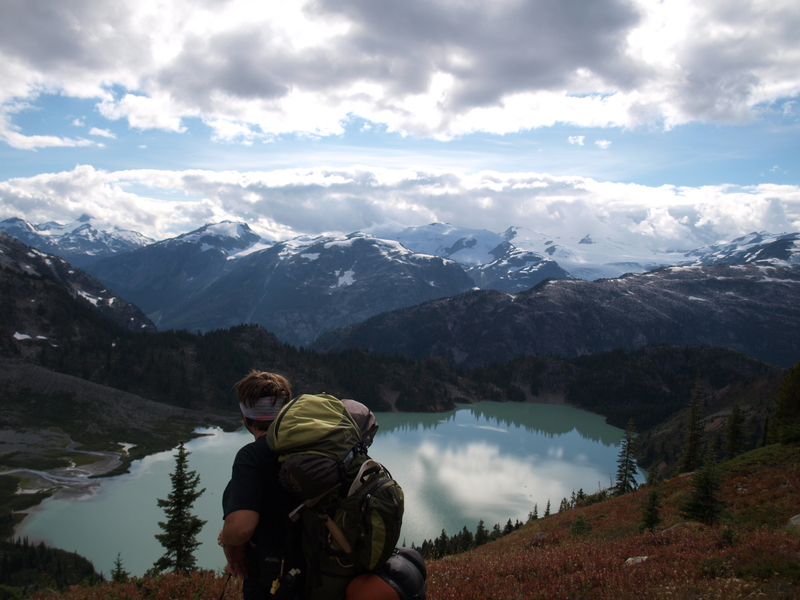 You would have to pay a survey crew to walk the entire property and collect GPS points to be used in a map. Mapping drones can do this today without the need for any ground control points at all! Remote sensing has huge applications in prospecting as well. In the years to come sensors such as infrared, hyper/multispectral cameras and LiDAR will improve upon existing satellite based techniques to map underground river systems and directly identify mineral bearing outcrops. Aerial geophysics is making its way into drones too. I was involved in the development of a large scale drone from 2011-2013 designed to conduct long range aerial magnetometer surveys. It was a great advancement but sadly the company suffered from poor management. A few other companies have developed magnetometer drones in recent years too. 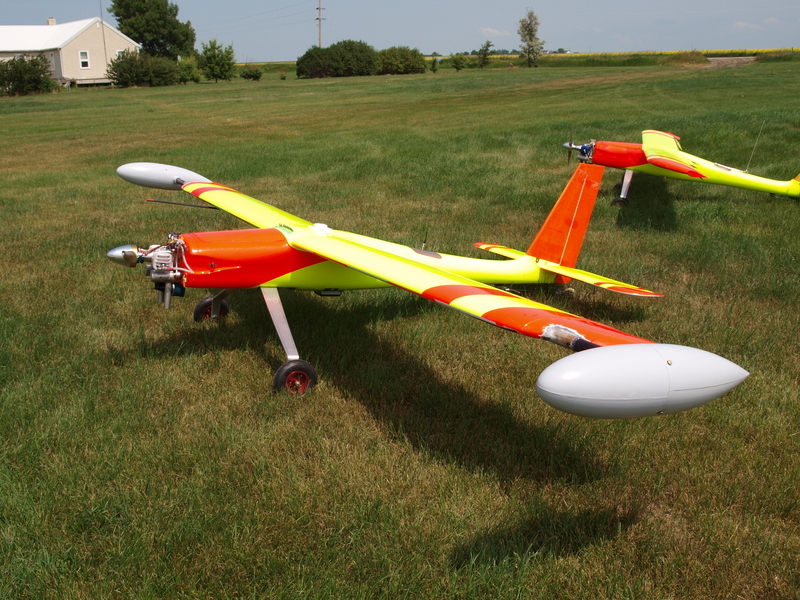 Drone geophysics has the same advantages over conventional aircraft such as low acquisition cost and rapid deployment. Having aerial photos of an area before mining takes place will give an honest account of what the land was like when it comes to reclamation. Wildlife counts and mapping of the ecosystem are crucial in development of environmental impact assessments. 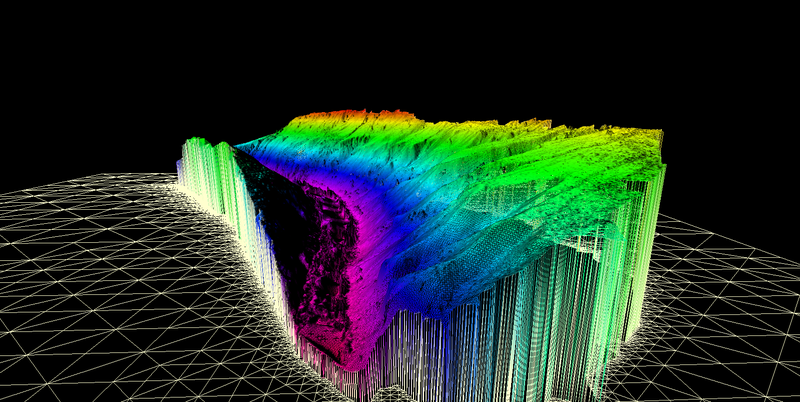 Three dimensional mapping has been used in mine development for decades. This data is relied on by mine planners to develop the mine itself, roads, tailings ponds, electrical infrastructure, and pretty much everything. 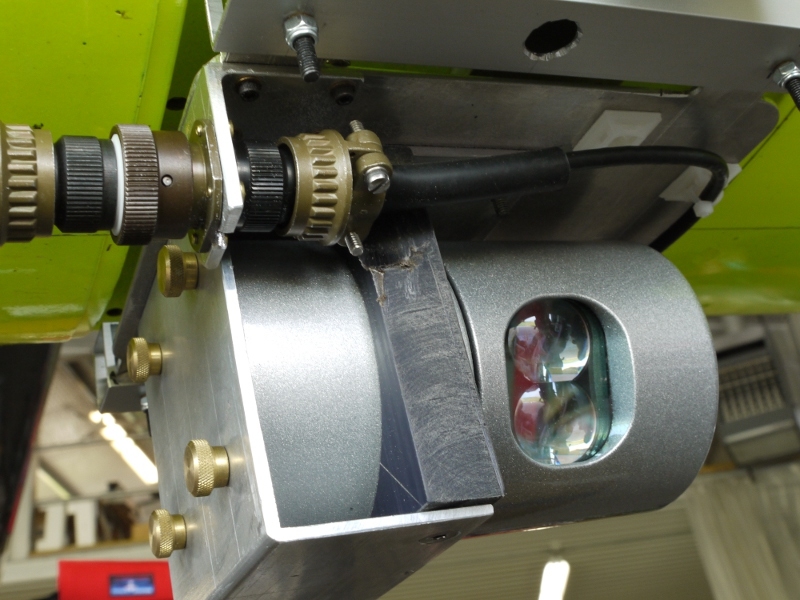 The main tool used is LiDAR which is a laser scanner that produces a high resolution 3D model. Drones can produce the same data for less money. LiDAR sensors are just starting to be installed on drones. Photogrammetry can produce the same quality of model as LiDAR as well but cannot separate trees from ground as effectively. In the operation/mining phase drones have a lot to offer. One of the most widely used applications of drones in mining today in in stockpile volumetrics. That is the 3D volume calculation of pile of waste rock or ore piles. Having volumetric surveys completed at regular intervals will give an accurate measurement of how much material has been moved in that time. This is important for many reasons. 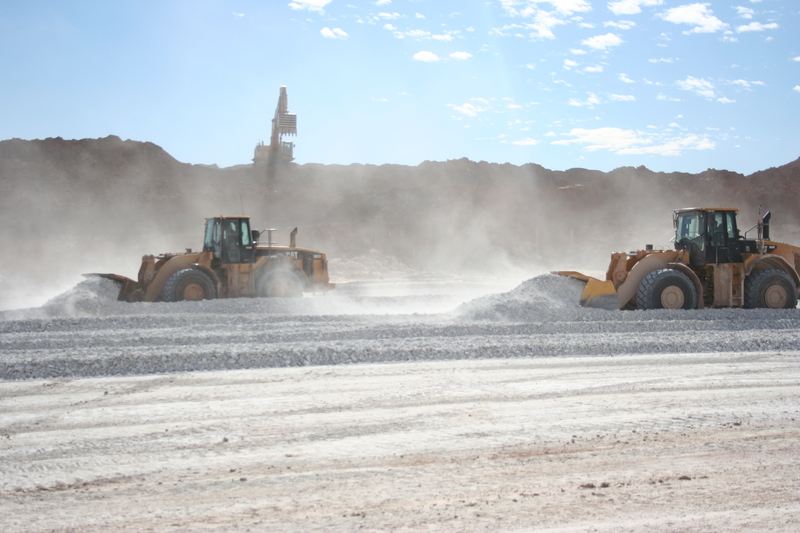 Historically stock pile measurements have been conducted by ground surveyors with GPS rovers. Many mines are still operating this way today. Drone can do the same job without the need to pay for survey crews or to put people in a potentially dangerous situation. 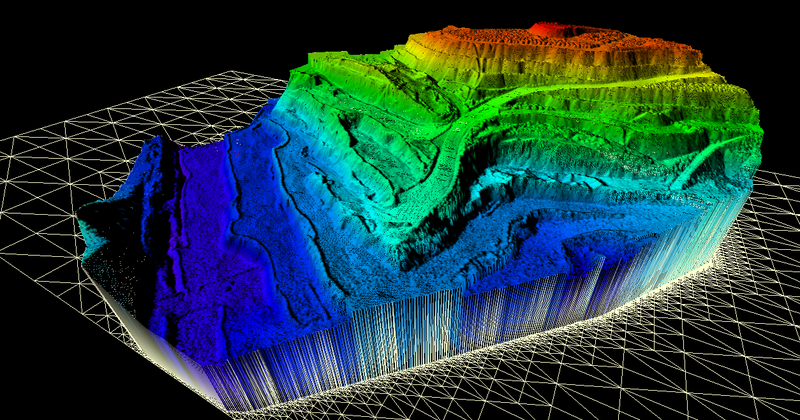 Drones can provide detailed modelling and imagery of pit walls and slope stability. Fixed-wing and multirotor inspection drones can get a close up, detailed image of potential points of failure in a pit wall. Smaller multirotor drones are starting to be used to map underground mines too, offering the same advantages. 3D pit models can be done for a surprisingly low cost. 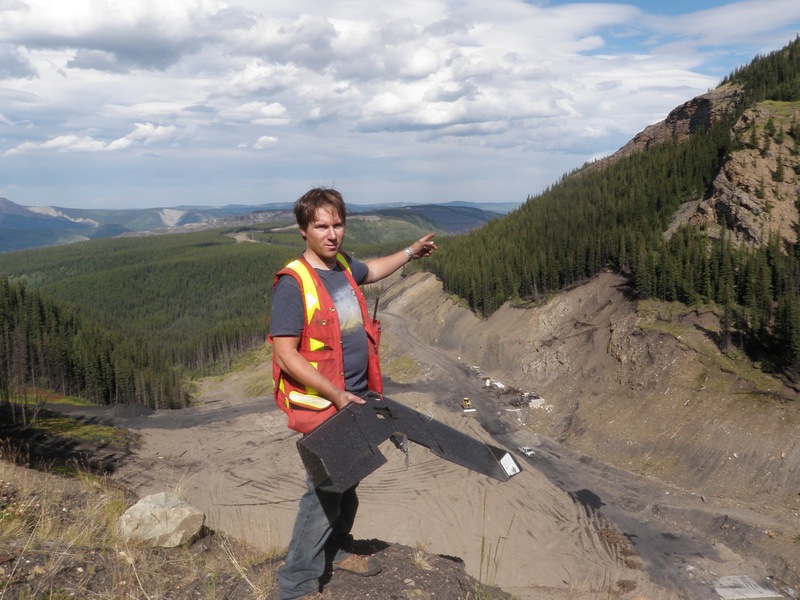 West Coast Placer conducted a pit mapping survey for a coal mine this summer and the results were amazing. Check out the above video for a sample. Mine engineers were able to use our data in their mine planning software (Minesight) to aid in development of the mine. Like stockpile volumetrics pit mapping will provide a useful record of mine activity when repeated at a regular interval. The low cost of drone data makes repeated surveys feasible on any budget. Environmental monitoring is a part of active mines too. As discussed drone aerial data offers huge advantages to environmental monitoring teams. In the event of an accident or disaster drones can provide a detailed image of the event as it happens. When the Mount Polley mine near Likely, BC had their tailing dam disaster in 2014 drones were used to map the extent of the damage. The same drone company provided updates as the clean up progressed. During reclamation it is required to show before and after imagery to prove that a mining company is upholding their obligations. Accurate three dimensional data acquired by UAVs helps mines return the terrain of a mine as close as possible to its original state. Periodic surveys can show the progress as an ecosystem returns to it’s pre-mining conditions. Currently in 2015 drones are just beginning to be used in mining. There are a few intrepid drone service providers like West Coast Placer offering amazing products for prices that are 1/4 or less of what traditional aircraft would cost. In the coming years we are going to see more and more drones operating on mine sites. It will be standard equipment for explorers, miners and environmental teams in the not too distant future.